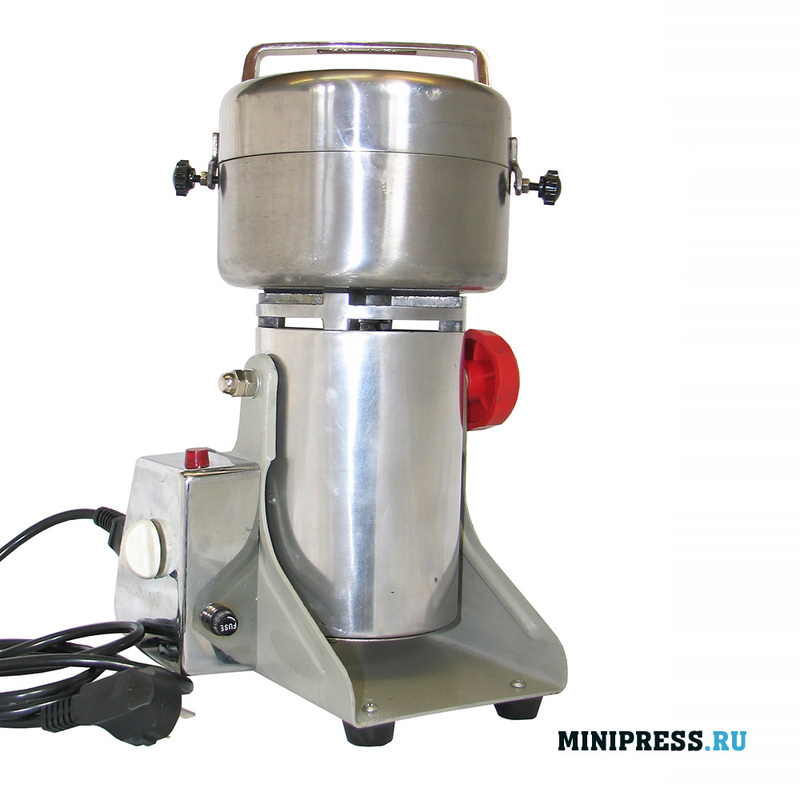 Каталог / Experimental Equipment / Archive by Category "Mills and shredders"
Automatic laboratory mill hammer type with the function of continuous loading of raw materials. 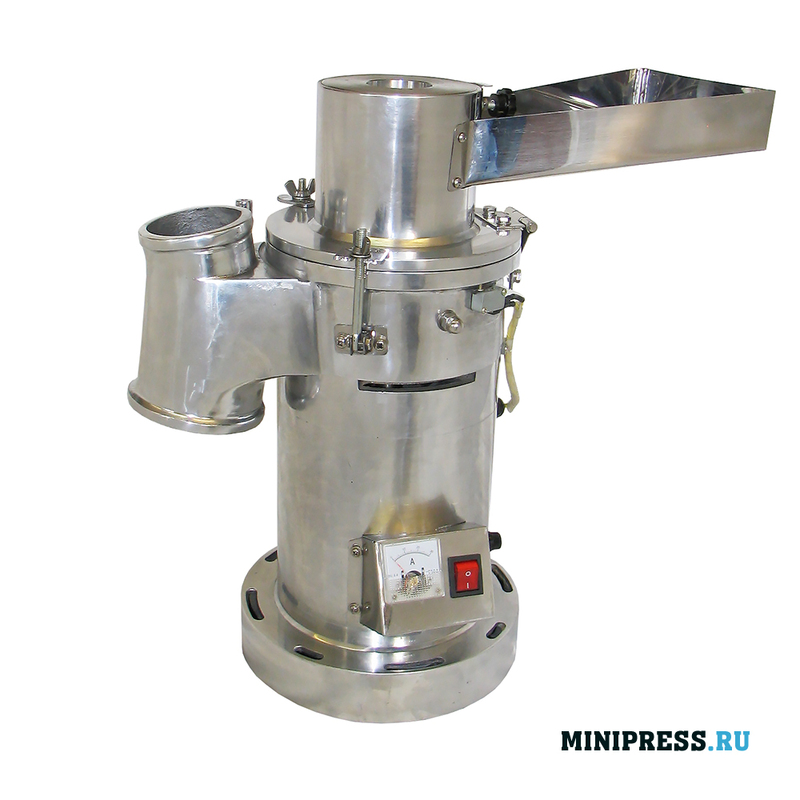 The design allows you to control the fraction of the resulting material at the output. 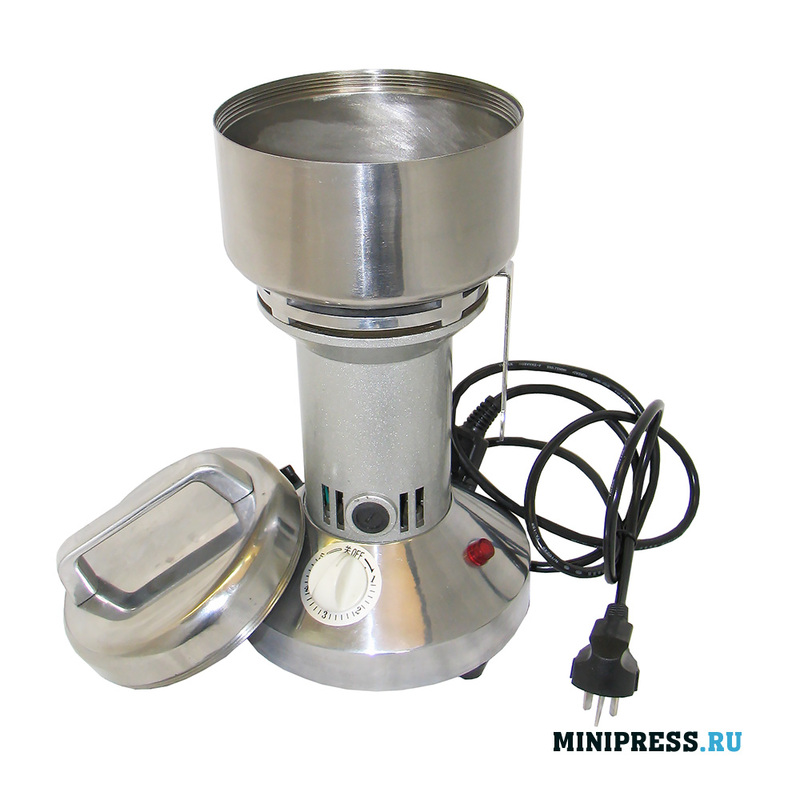 The air blowing of the chopping chamber ensures that there is no heating of the material and its adherence. 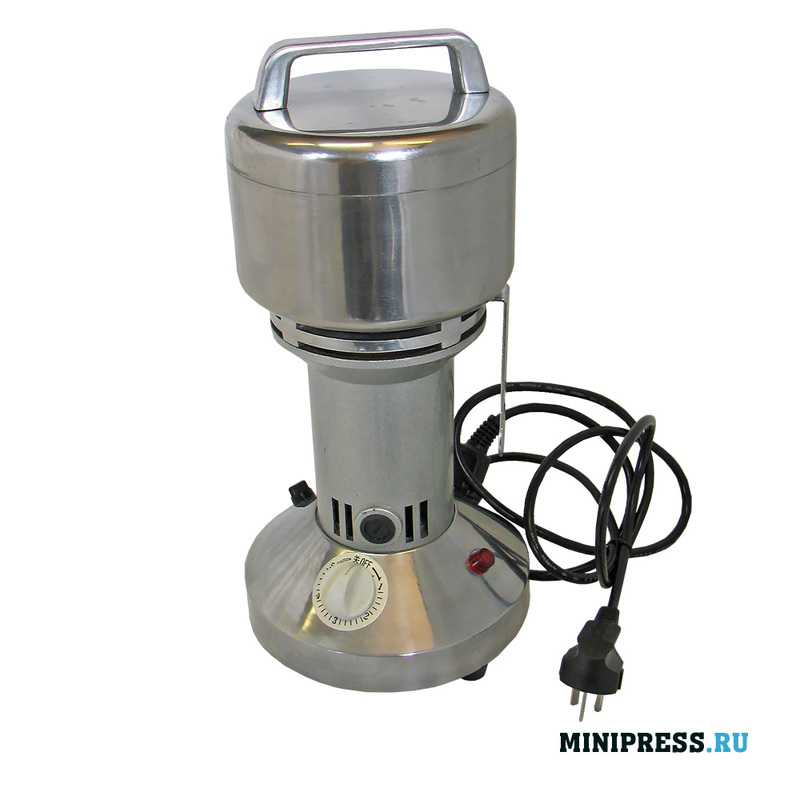 Productivity from 50 to 100 kg per hour. The speed of rotation of the hammers is 2800 rpm. 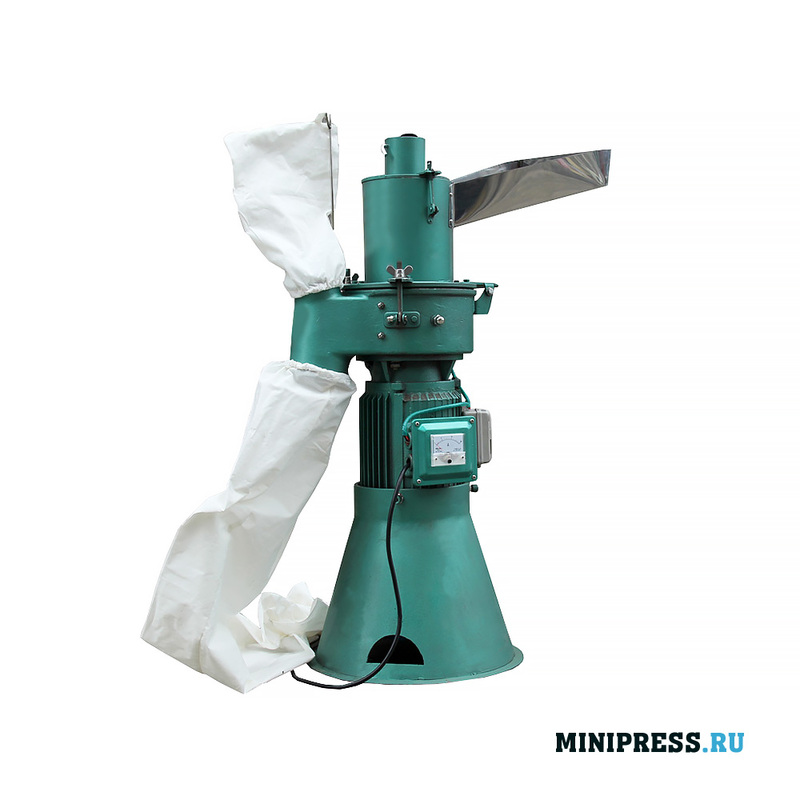 Portable, economical and easy to operate the machine is used in the medical and food industry for powder production, in the chemical industry and other industries. We provide a full range of services: installation, training, start-up, repair. 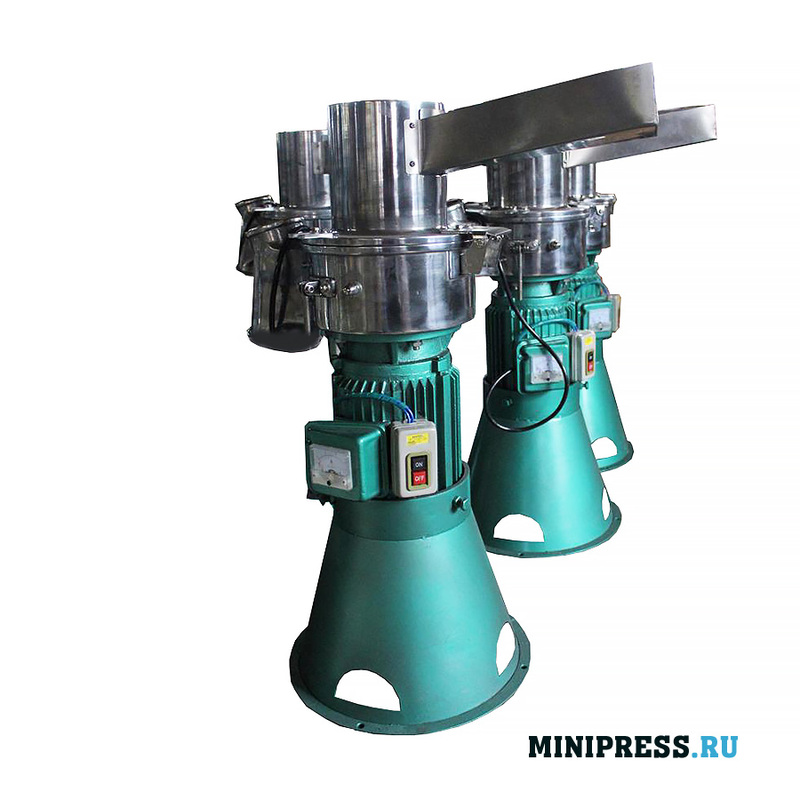 Automatic laboratory mill hammer type with the function of continuous loading of raw materials. 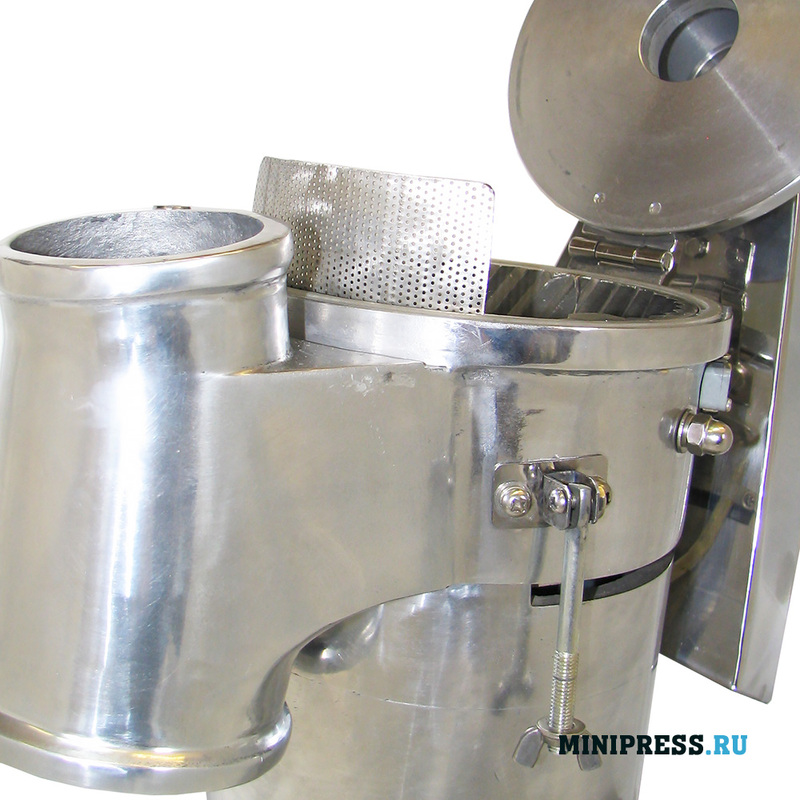 The design allows you to control the fraction of the resulting material at the output. 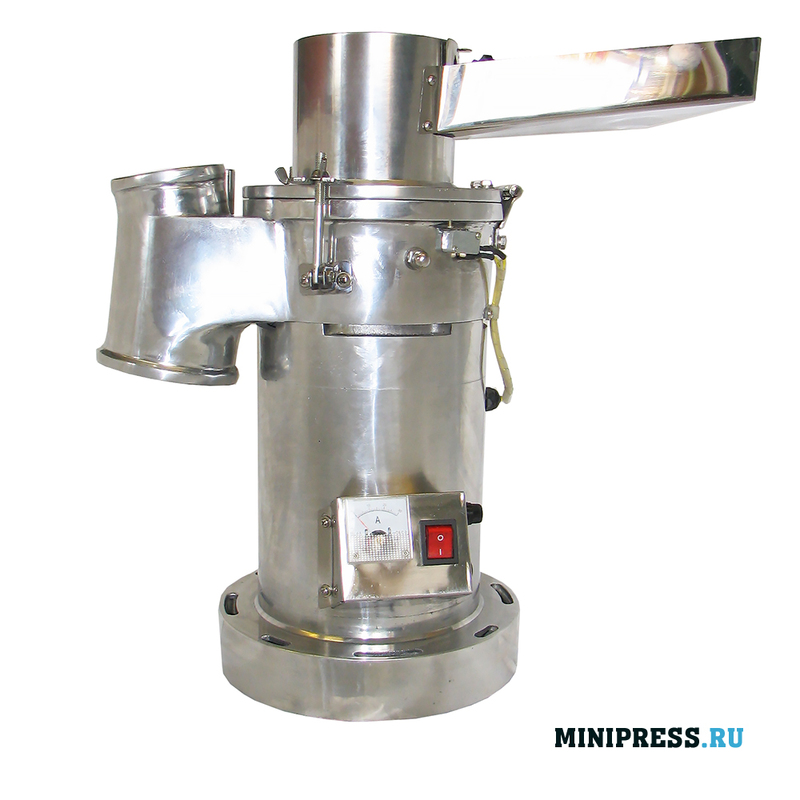 The air blowing of the chopping chamber ensures that there is no heating of the material and its adherence. Productivity from 20 to 40 kg per hour. 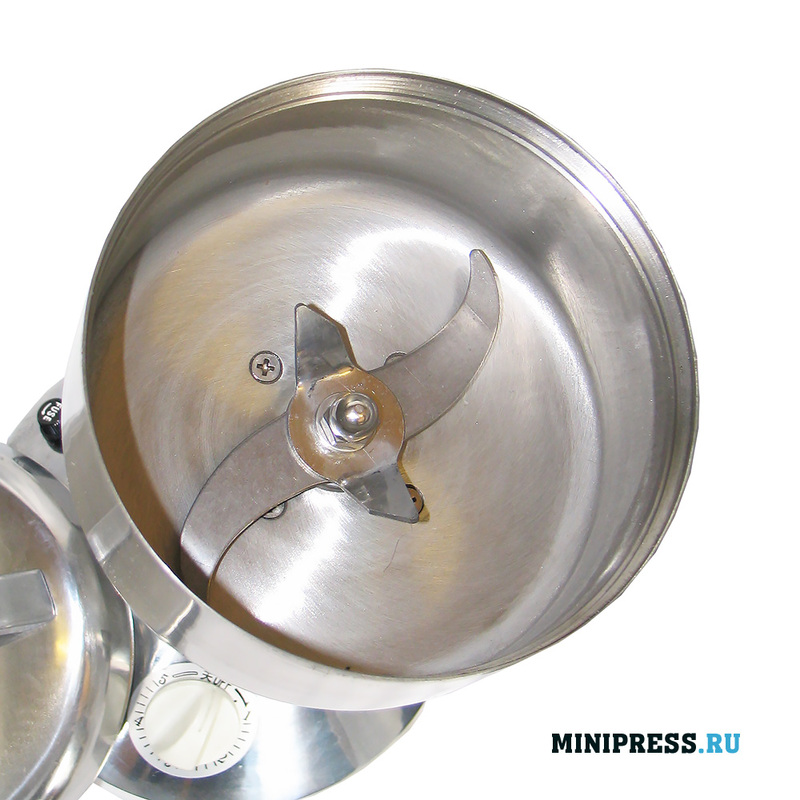 The speed of rotation of the hammers is 2840 revolutions per minute. 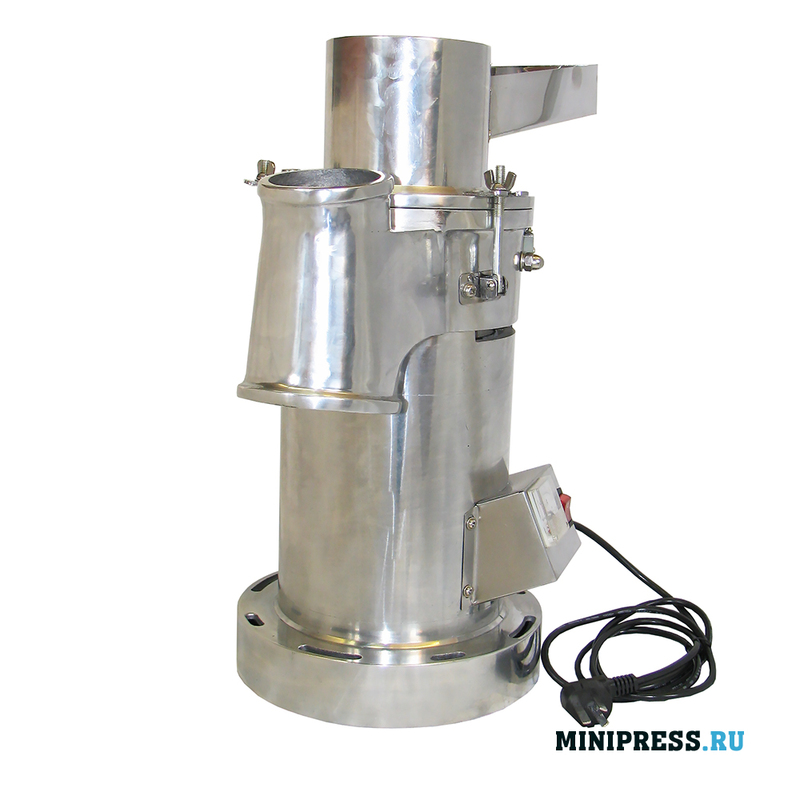 Portable, economical and easy to operate the machine is used in the medical and food industry for powder production, in the chemical industry and other industries. We provide a full range of services: installation, training, start-up, repair. Simple mechanical design. Instruction for use in English and Russian. Complies with the GMP standard. 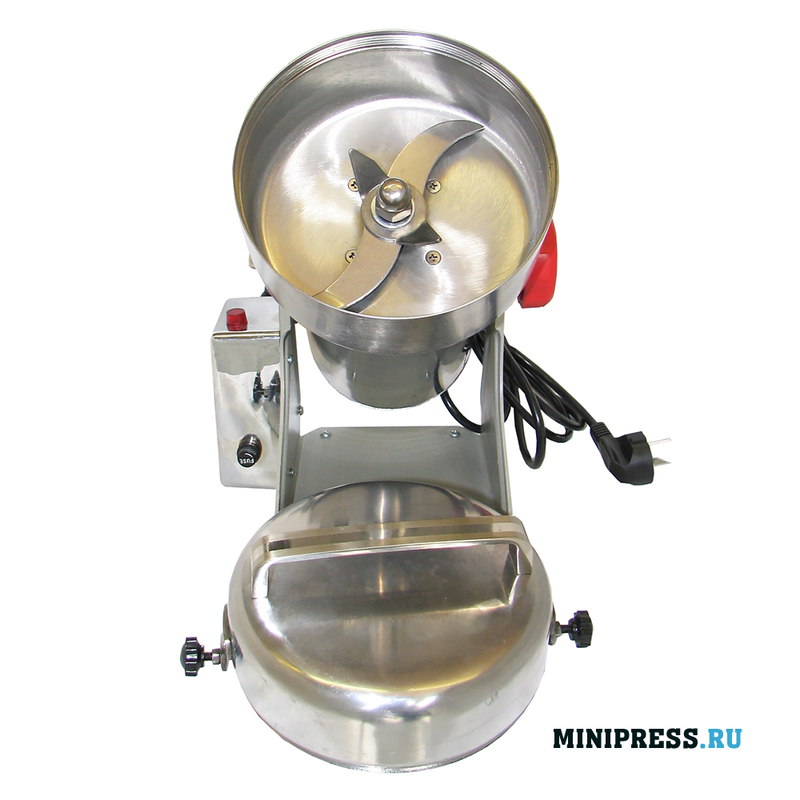 Automatic laboratory knife-type mill with raw material loading. 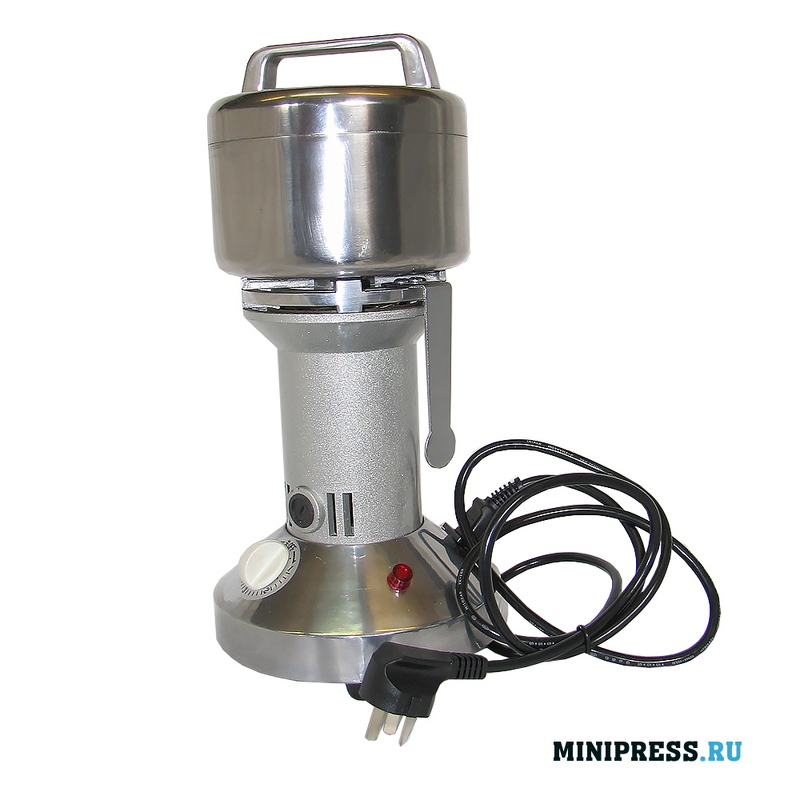 The design does not allow controlling the fraction of the resulting material at the outlet. Loading up to 250 grams. 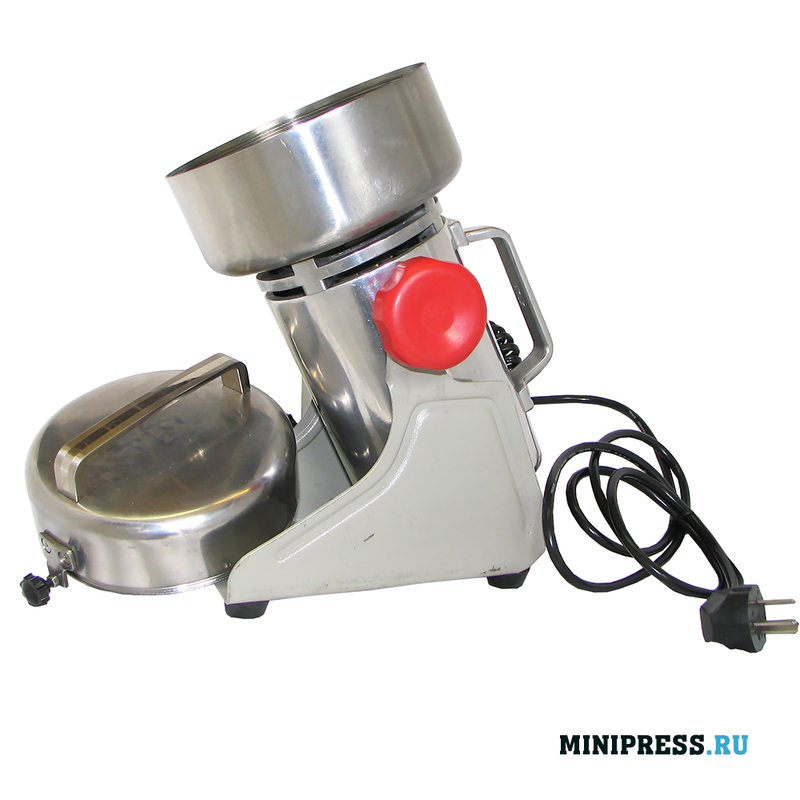 The speed of rotation of the hammers is 2500 rpm. 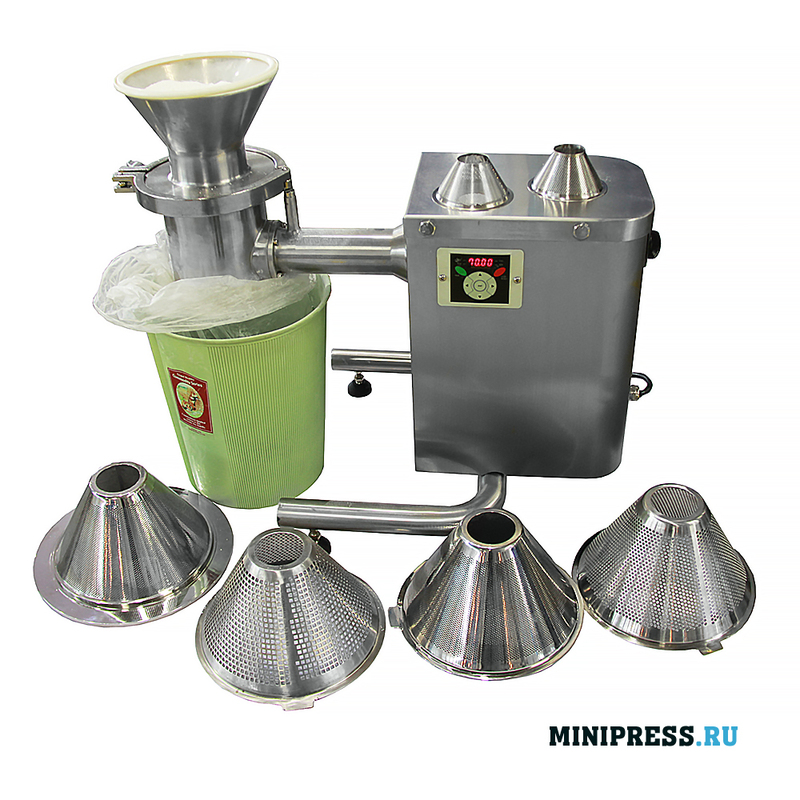 Portable, economical and easy to operate the machine is used in the medical and food industry for powder production, in the chemical industry and other industries. We provide a full range of services: installation, training, start-up, repair. Simple mechanical design. Instruction for use in English and Russian. Complies with the GMP standard. Laboratory mill with continuous loading of off-grade tablets. 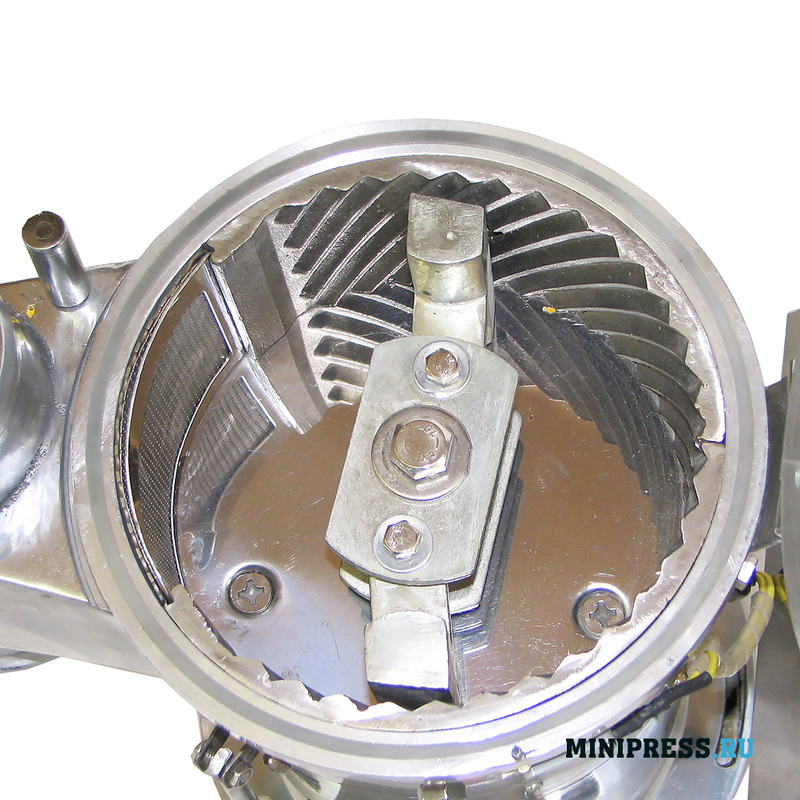 The design allows you to control the fraction of the resulting material at the output. 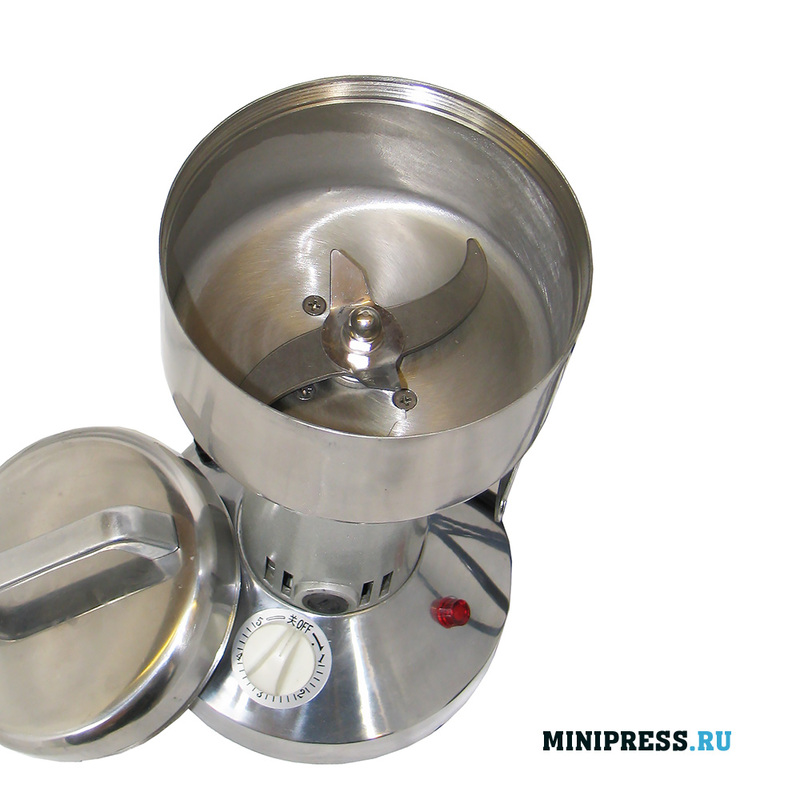 Grinding with control of the powder fraction. Productivity from 20 to 50 kg per hour. 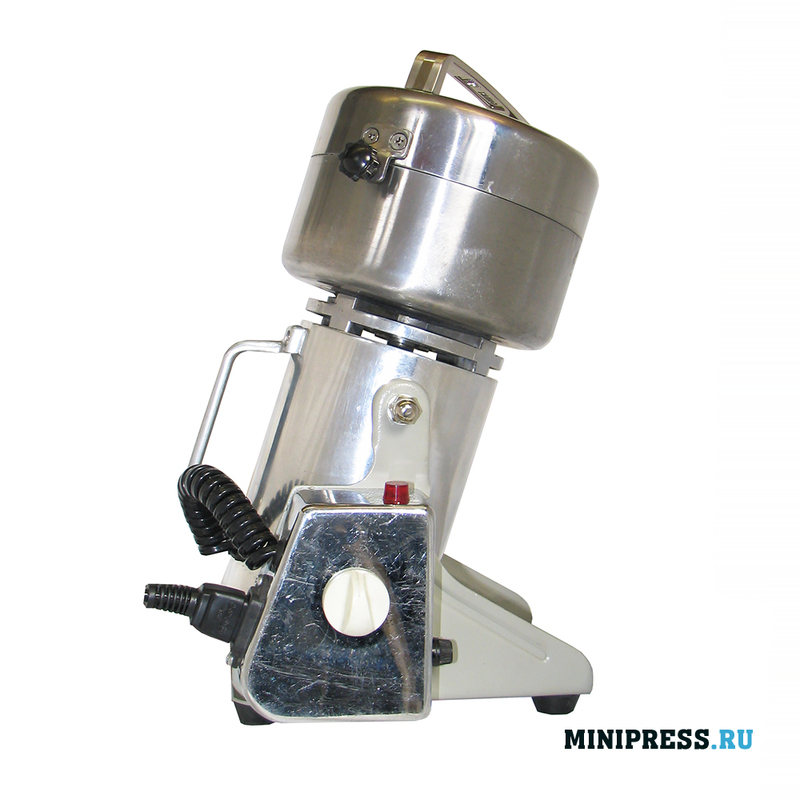 Rotational speed of hammers is 1000 rpm. 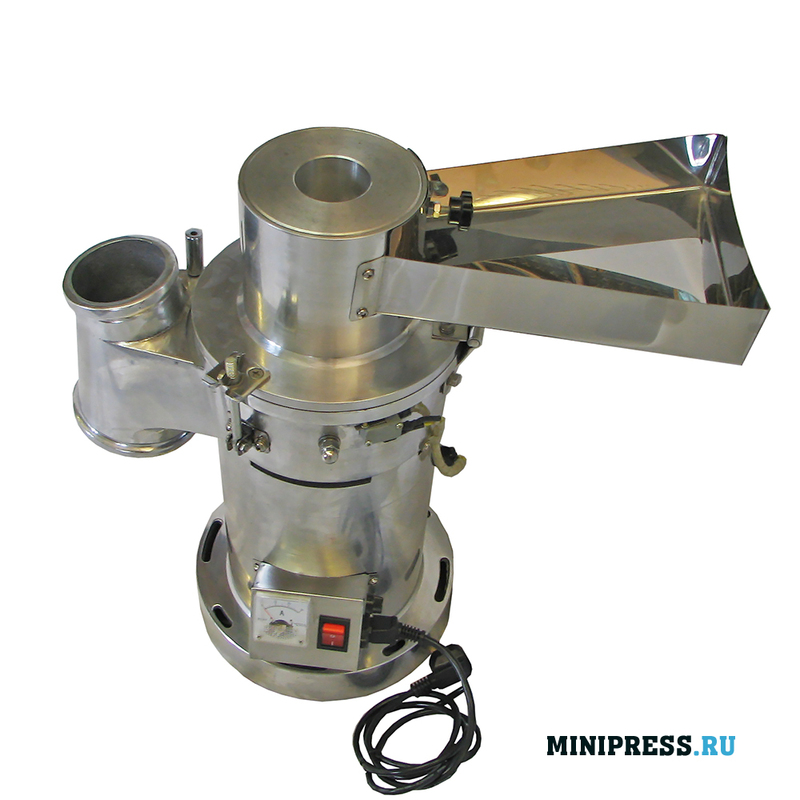 Portable, economical and easy to operate the machine is used in the medical and food industry for powder production, in the chemical industry and other industries. We provide a full range of services: installation, training, start-up, repair. Simple mechanical design. Instruction for use in English and Russian. Complies with the GMP standard. 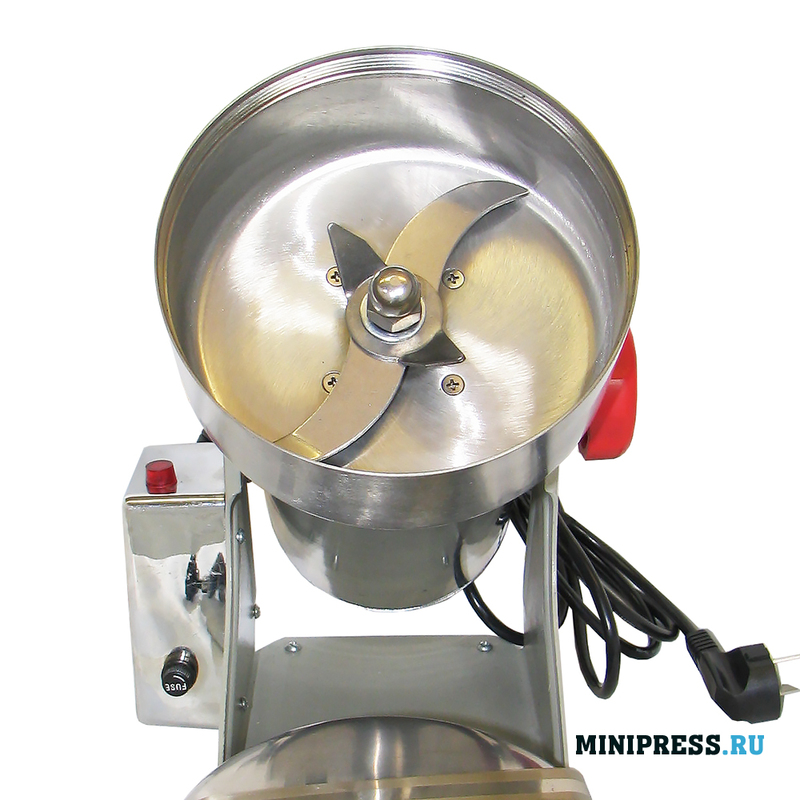 Automatic laboratory knife-type mill with raw material loading. 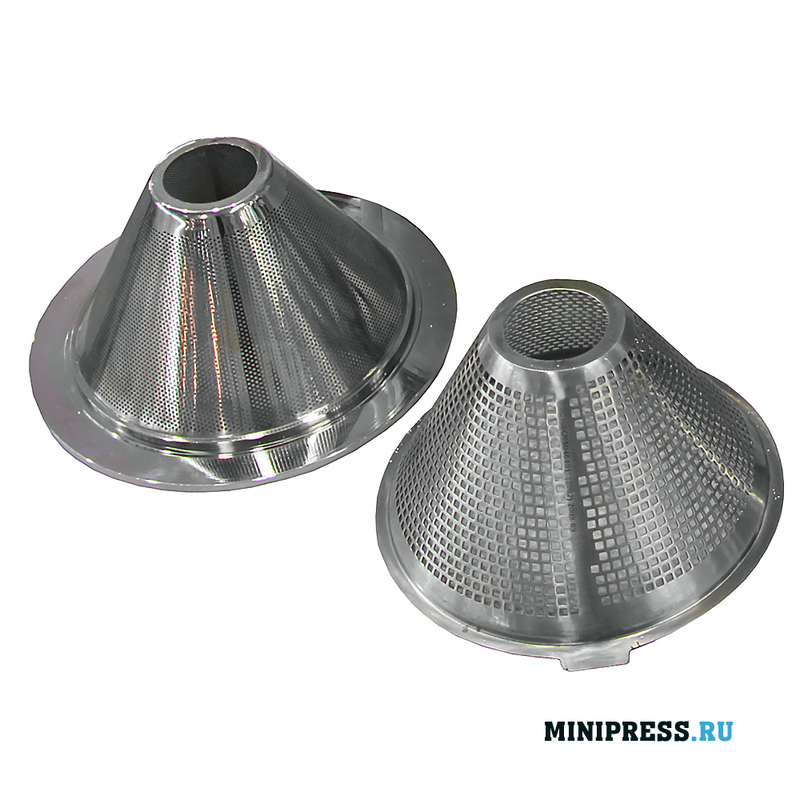 The design does not allow controlling the fraction of the resulting material at the outlet. Loading up to 300 grams. 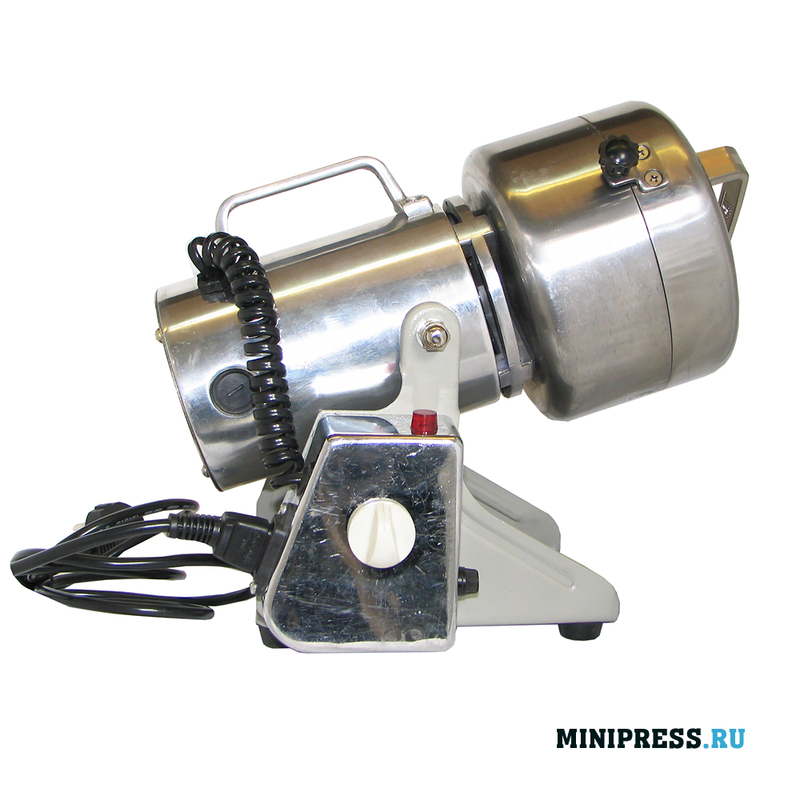 The speed of rotation of the hammers is 2500 rpm. 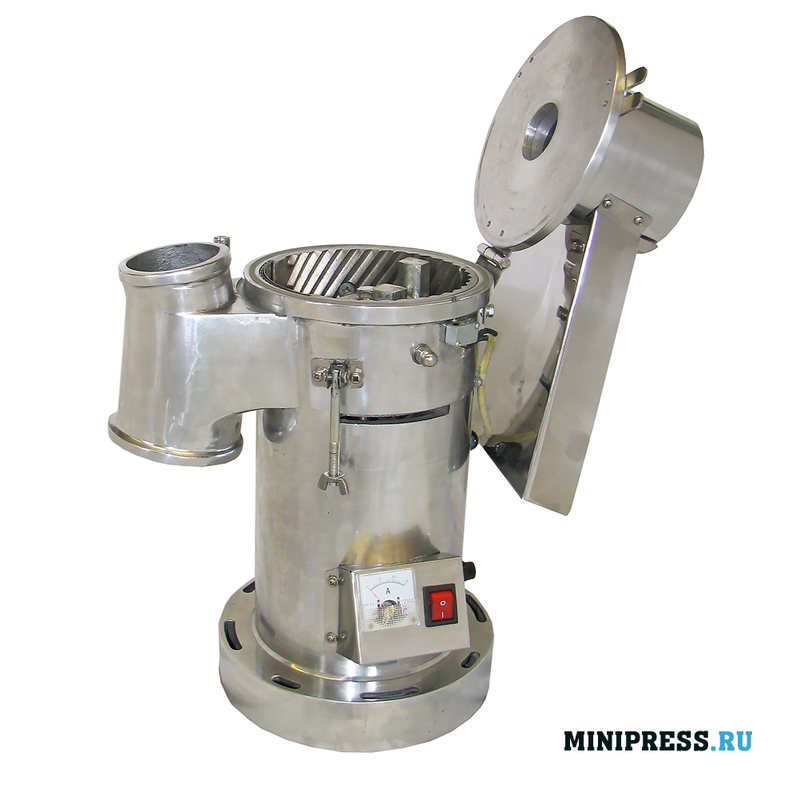 Portable, economical and easy to operate the machine is used in the medical and food industry for powder production, in the chemical industry and other industries. We provide a full range of services: installation, training, start-up, repair. Simple mechanical design. Instruction for use in English and Russian. Complies with the GMP standard.